If you are like me, it always makes me feel good when I receive a compliment—my hair looks great, I look like I lost weight, that color brings out the color of my eyes, etc. 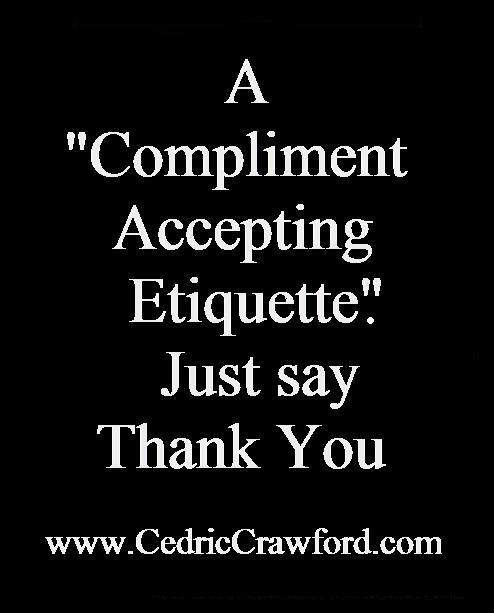 Recently, I’ve become aware that whenever I receive a compliment, I have trouble just accepting it; unfortunately, I always say thank you and then I usually go and negate the positive remark with a negatively charged comment. For example, someone recently complimented me on my hair, telling me that they loved my curls. While I was appreciative of the comment, and thanked the person, I didn’t leave it at that. I began to explain how the weather was making it kind of frizzy that day and how I really needed to get my color done because my roots are so long. Essentially, I went and totally ruined the comment with all my negative retorts. But, I am not going to get down on myself for being negative when I receive a compliment. Instead, I am going to be appreciative of the fact that I became aware, on my own, of the way I was handling compliments and that I am now making a conscious effort to be grateful for the comment and simply say, “thank you for the compliment,” and leave it at that; I am not going to allow that sabotaging negative voice in my head push its way through and out my mouth. 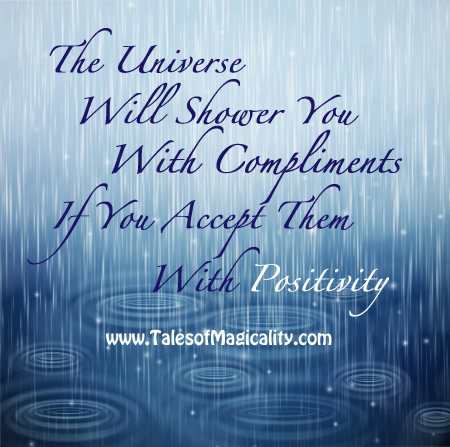 By receiving the compliments you get with warmth and positivity, your energy expresses to the Universe that you enjoy receiving compliments and your positivity will attract more circumstances, a.k.a compliments, to keep this positive cycle flowing. So, the next time someone compliments you, be aware of your reaction. Did you follow your thank you with a negative response? Did you say thank you but then think the negative response only to yourself, which equals the same thing as saying it out loud. Or were you just grateful for the compliment and let the positive energy wash over you? 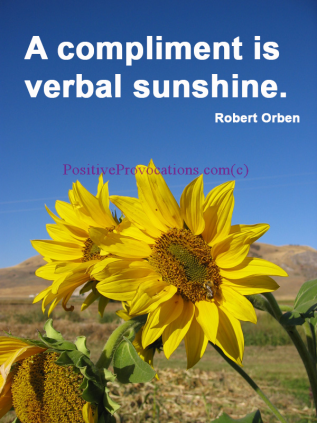 Your reaction will determine whether compliments flow freely to you, or slip-slide away.